July 20th, 2016 By: GGT Category: 2017/04 release, Figure News. 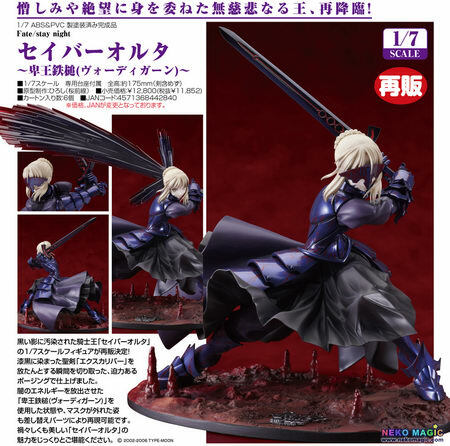 Good Smile Company is going to re-release the Saber Alter ( セイバー オルタ ) ~Vortigern~ ( ～卑王鉄槌(ヴォーディガーン)～ ) 1/7 PVC figure from the visual novel/anime “Fate/stay night” ( フェイト/ステイナイト ). Will be re-released in April 2017. Around 175mm tall, 11,852 yen. A rerelease of the ruthless king who gave in to hatred and despair. 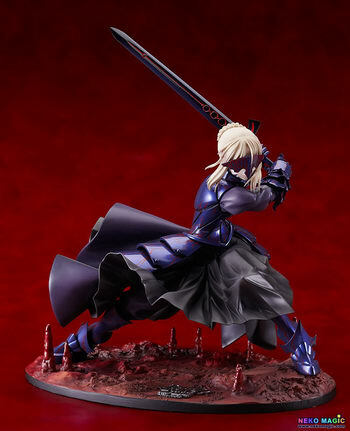 A rerelease of the 1/7th scale King of Knights tainted by a black shadow – Saber Alter! 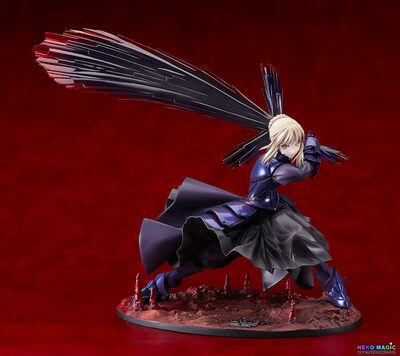 She is posed slashing down with her holy sword Excalibur, in a dynamic pose filled with energy. 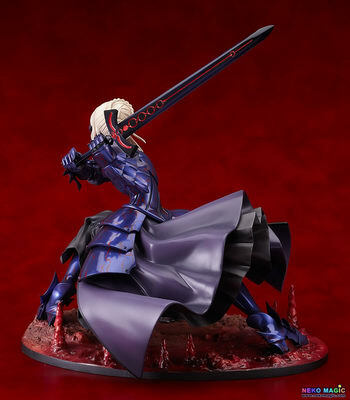 She comes with interchangeable parts that allow you to swap out Excalibur for Vortigern, a sword erupting with dark energy. 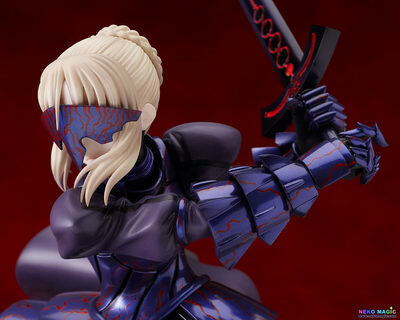 Alternate parts that allow you to display her with her mask removed are also included. 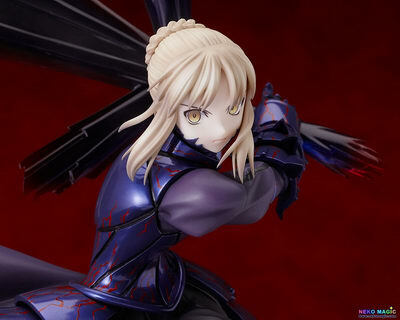 Enjoy the dark yet beautiful charms of Saber Alter in your collection!